Offering you a complete choice of products which include gi sheets, galvanised sheets and gi coated sheets. GI sheets offered come in different thickness choices like 0.135 to 1.5mm as well as in width options of 600 to 1200mm. Featuring quality construction finish, these find extensive use in construction sector as well as in production of corrugated panels, drywall panel profiles, ventilation systems and others. Some of its features include high resistance to corrosion in different environment, thickness options of 0.135 to 1.5mm; width options of up to 1250mm, spangle choice of large spangle, normal spangle, zero spangle; superior cold rolled technique finish; available a per industry standards like JIS, EN and others; finding use in areas like for roofs, ovens, electrically controlled cabinets and others. 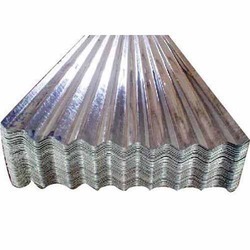 Galvanized sheets offered comes in quality construction finish and are available as per industry standards like ASTM, DIN, EN, JIS and others. 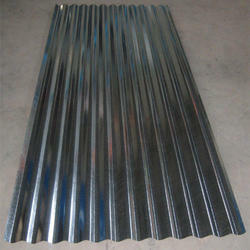 Featuring galvanized surface finish, these sheets find use in different application areas like ship making, furniture, construction, electric sector and others. Some of its features include used in making of office equipment, for automobile components, for fabrication of water tanks; surface treatment choices of oiled, chemically passivated and oiled, chromate-free passivation; available in width options of 914 to 1200mm and zinc coating support of 40g-200g /m2; cold rolled processing finish. 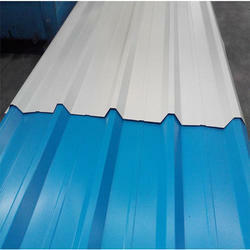 GI Coated Sheets offered comes in quality construction finish and find extensive use in areas like decorative sheets, for prefabricated houses, as appliance sheet among others. Further, these are available in width of 914 to 1200mm, thickness of 0.12 to 1.2mm a well as thickness tolerance of ± 0.03mm and width tolerance of ± 0.03mm. Some of its features include available in zinc coating options of 40g-200g /m2, choice of cold rolled finishing technique, choice of different industry standards like ASTM, DIN, EN, JIS; galvanized surface finish, choice of different surface treatment like chemically passivated and oiled, chromate-free passivation and others.